The idea of creating Motivate came about from my passion in helping people heal with natural sources of energy and to help them live a healthier life in an easy and natural way. Everything needs a source of energy. For human body is ATP, the energy currency of life. It is the high-energy molecule that provides the energy we need to do just about everything we do. There is a process that produces ATP for our body and for this process to work effectively, human body needs certain components. Most people are deficient in those necessary components and won’t get them from their regular diet. 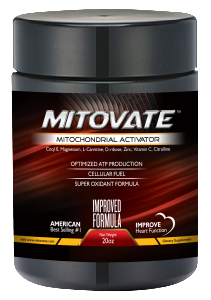 Mitovate is created to help people get their necessary supplements without a lot of effort; in a safe and easy way! Thank you for trying out Mitovate.